Canadian Singer-Songwriter Jessica Rhaye, ventures into her most musically mature territory yet with the release of her sophomore album Short Stories. An album that features an attractive mix of folk songwriting, modern arrangements, and ambitious production, surrounded by Jessica’s magnetizing voice. One listen to the eleven hook-laden tracks of this album and you'll be struck by the natural, warm, rich and sometimes personal songs of this talented singer-songwriter. Under Woodsworth’s guidance, Short Stories brims with catchy hooks that draw you into Jessica’s melodic tales. Having grown up on a steady diet of singer-songwriters like Bob Dylan, Joan Baez and John Denver, her songs cover a wide range of themes from the personal expression of “Only One” to the unique viewpoints of “Running for the Door” and “Holding Out”, a co-write with acclaimed singer-songwriter Ken Tobias (Stay Awhile, I Just Want to Make Music). These songs have sing-along chorus’, that are more upbeat than anything you've ever heard in the past from this singer-songwriter, along with the euphoria of songs like “Wild Flowers” and the melancholy of “Where it all Begins”. Jessica Rhaye’s previous 2000 self-titled release landed her a performance on the East Coast Music Awards plus three ECMA nominations, including New Artist of the Year, Pop Artist of the Year, and Female Artist of the Year. The track “Time Out” became a finalist in the folk category of the International John Lennon Songwriting Competition and earned Jessica a spot on CBC’s Great Canadian Music Television program as one of twenty-five featured performers from across Canada. Since the release of her debut recording Jessica’s live performance has taken her across Canada, including a performance at the National Arts Centre in Ottawa, and as far away as Niger, Africa, where she was selected by an international jury to showcase, as one of sixteen artists from around the world, at the Francophone Games. “Performing in Africa was an interesting experience. Although I’m an English artist my application was well received by the international jury and I did perform one song in French to meet the requirements of the Games” explains Rhaye. She has supported shows for the likes of Great Big Sea, Randy Bachman, and Matt Mays while sharing the stage with MIR, Bruce Guthro and Grammy Award-winner Colin Hay, from the band Men at Work. Jessica has showcased at music industry festivals, North by Northeast (NXNE), Canadian Music Week (CMW) and the Canadian Country Music Awards (CCMA). 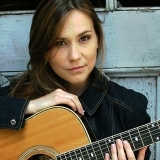 During CMW Jessica’s song “Only One”, featured on the new album, was nominated as a finalist in the 2005 Canadian Radio Star National Songwriting Competition, while “Holding Out” was selected as a finalist and the National 1st runner-up at the same event in 2007. In between writing and recording Short Stories Jessica has been busy completing her major in graphic design, which allowed her to guide the creative vision of her new album, while lending her voice to a side project with German based label Valle Venia. The end result was a truly unique sounding recording as Valle Venia strives to record non-traditional innovative music pieces based on the writing of Leo Schmidt, the labels founder, by combining music, art, and science. The album is appropriately titled Valle Venia featuring Jessica Rhaye. Since the release of her self-titled album Jessica has absorbed all of these experiences with an open mind and it has made her a stronger writer and performer. She is pleased to be showing off her sharpened skills on Short Stories. “I just really love to sing and write. It’s something I have to do, it’s a compulsion,” she admits. With the work on Short Stories, a title that as Jessica explains “evolved from the writing process”, now complete, and given her early success leading up to its release, it is clear that this young singer-songwriter is an artist on the rise, and offering music lovers plenty to enjoy. Short Stories was mastered at Bob Ludwig’s Gateway Mastering by Adam Ayan whose mastering credits include work for Tracey Chapman, Indigo Girls and Phish, to name a few.